Patrick Carlyon was born in Melbourne in 1972. He has twice won a Walkley Award for feature writing as a journalist at the Herald Sun, and he walked the Gallipoli battlefields in 2000. He has two children, Charlie and Chloe. The Gallipoli Story is his first book. 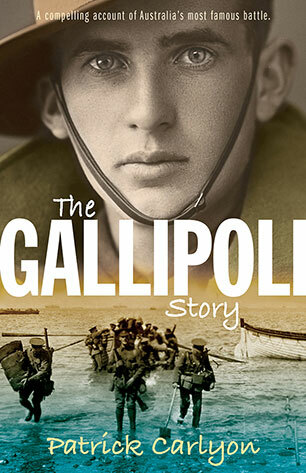 An unforgettable and tough journey deep into the heartland of the Gallipoli campaign; award-winning journalist Patrick Carlyon digs past the myths to explore the lives and choices of the men -- soldiers, politicians and generals alike -- who found themselves caught up in a battle fought far from home.